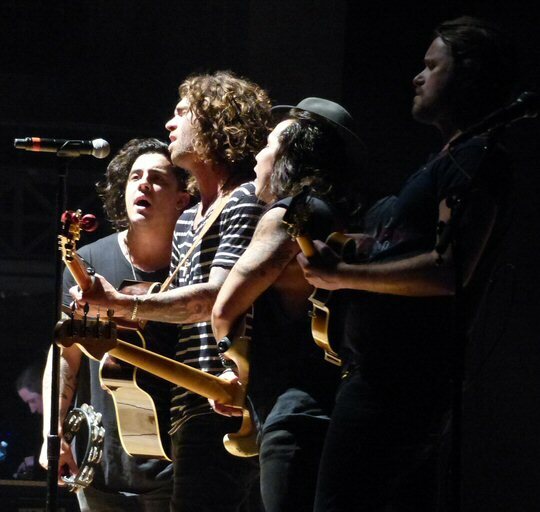 The Fray along with American Authors put on their best display at the War Memorial Auditorium in Nashville, Tennessee on November 12, 2016. Both bands were formed in the 2000s reflecting the textures and tones of that decade while still expanding their musical pallets into the present day. A mix of their fans were in attendance at Saturday's show revealing a wide age range of listeners who were generally attentive even during some of The Fray's slower songs. 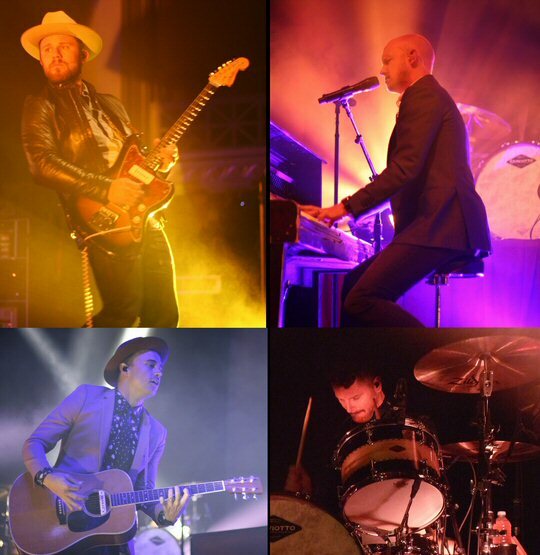 The Fray showcased their best songs in Nashville. The Fray formed in 2002 in Denver, Colorado. They hit it big with their debut album How To Save A Life and they have continued to build on its success. 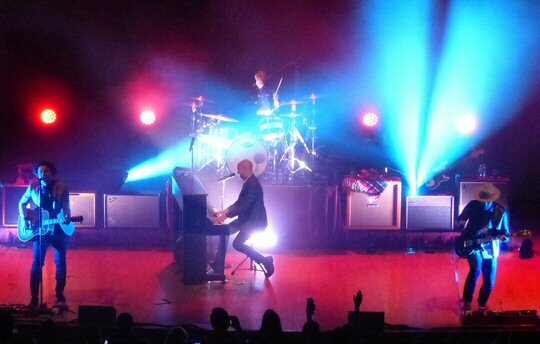 The Fray's use of the piano as the lead instrument in their music has led critics to compare them with bands such as Coldplay and Keane. However, The Fray lists its influences as the Wallflowers, Counting Crows, Better Than Ezra and U2. Their style is a blend of alternative and classic rock addressing issues of life's challenges in their insightful lyrics. On November 4th, 2016 The Fray released Through The Years: The Best of The Fray. The career spanning set starts with the Fray's definitive RIAA 5x-platinum breakthroughs "Over My Head (Cable Car)" and "How to Save a Life". The collection features their most iconic songs in chronological order culminating with three new tunes. 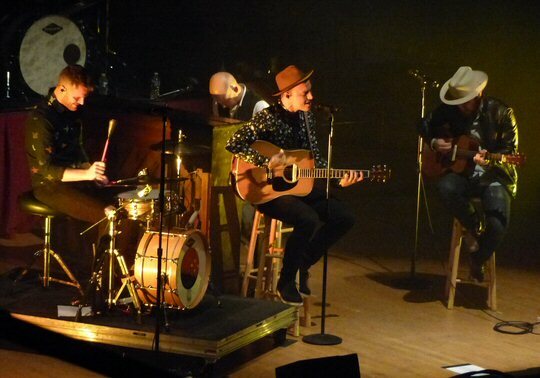 The Fray is currently on tour in support of the new record. They are offering special VIP packages as part of the celebration of The Fray's first ten award winning years as a group. Music City came alive with the music of Colorado's - The Fray. The piano was center stage as flashing lights and piped in music announced the arrival of The Fray who chose to use low lights for the opening numbers "Singing Low" and "You Found Me". "Hurricane" paired "Edgy" guitar riffs with a steady, solid rhythm. The Fray's put their own unique spin on Oasis' "Look After You/Wonderwall". "All at Once" was a more up-tempo tune that had the crowd moving before going into the moodier but visually vibrant "6 Rainy Zurich" and "Vienna". About mid show The Fray greeted the audience talking about their early days and how they started writing songs about the things they were scared of. The chart topping "How To Save A Life" was a high point. Next, was the acoustic portion of the show. Softer drums, acoustic guitars and keys created a subtle spell for "Heartbeat" along with the reflective and relatable "Heaven Forbid". Other memorable moments included "Never Say Never" and "Love Don't Die". The encore featured feisty versions of "Syndicate" and "Over My Head (Cable Car) ending their concert on a high note. An acoustic set from The Fray changed the pace just a bit. The opening act the American Authors met in 2006 at Berklee College of Music where they formed a band. They played the Boston circuit before relocating to Brooklyn, New York in 2010. Soon after, this alternative rock band found their music featured in ads, film and television. American Authors appeared at a number of major festivals such as Lollapaloza winning fans over with their energetic and engaging live performances. The floor and seated sections at the Auditorium were already filling in prior to American Authors taking the stage. They were enthusiastically greeted by Music City. American Authors opened with a giddy "Go Big or Go Home". Fans had their hands in the air and were singing along to the good grooves of the tune. "Luck" was equally as lively, yet well mixed so that the mandolin could be heard in addition to the vigorous rhythms that propelled the tune. The popular title track from their second album What We Live For maintained the animated mood of their set list. American Authors helped restore our faith in American rock music. American Authors had a strong stage presence and their harmonies were often the pinnacle of their mostly up-tempo tunes. Lead vocalist Zac Barnett struck us as a dynamic mix of Jim Morrison and Michael Hutchence. He shared some of their history with the audience recalling penning "Trouble" in a cramped bedroom in Brooklyn. It started as a stark acoustic piece before the pace picked for a catchy country inspired close. They finished up by pairing the spirited "Believer" (a MGMT cover) with the "The Best Day of My Life". The crowd connected with both tunes jumping and singing along. American Authors are penning their own story of success with live performance that are compelling and showcasing their songs in various mediums such as video games. The War Memorial Auditorium located in downtown Nashville sits directly in front of the Tennessee State Capitol. Built in 1925, this historic building is an adaptable concert hall, performance space, wedding site, video/film location and graduation commencement venue. The hall has good acoustics. In fact, a number of live albums have been recorded on its crescent shape stage. Concerts such as The Fray along with other shows are periodically held at this venerable venue. Upcoming events at the War Memorial Auditorium include It's A Wonderful Life, Mistletoe Madness and The Flaming Lips. 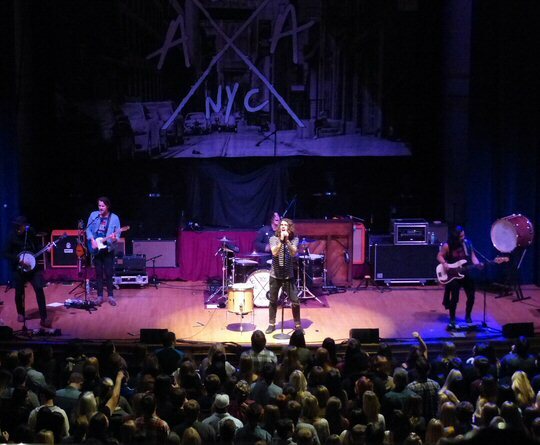 American Authors - there's something special about these five guys from Brooklyn.